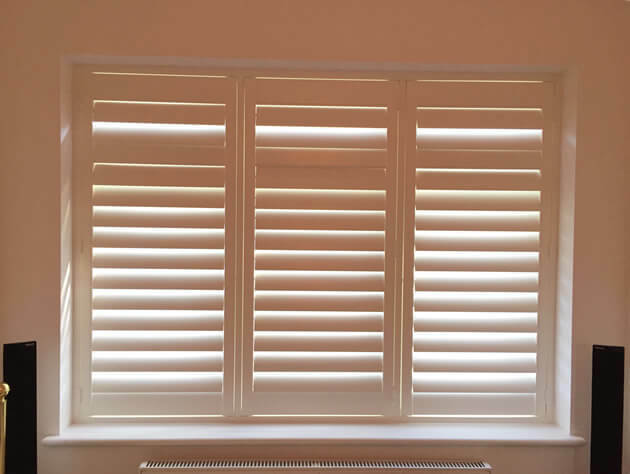 There are many reasons why our clients look to have shutters fitted over their standard window dressings, including when members of the family have allergies to the dust that you associate with curtains. This family have a child who has been suffering from allergies which certainly won’t have been helped by curtains which can harbour the dust. We visited the homeowners in Keston which is in Bromley to help design and fit their new shutters. The perfect solution for this are window shutters, which can simply be wiped clean as often as needed and as the shutters and louvres are made from wood there is no material to absorb the dust. It was also the perfect way to help makeover the rooms of the homes with the ultimate window dressing solution! 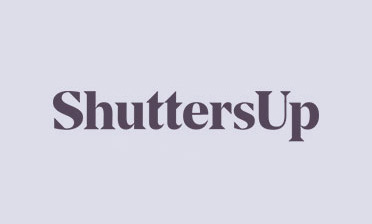 There are many reasons why shutters dominate over other window dressings, but ultimately they look stunning and add true value to your home no matter the reason for needing them. These shutters were created using MDF and fitted by some of our highly skilled team Ben and Kirk. 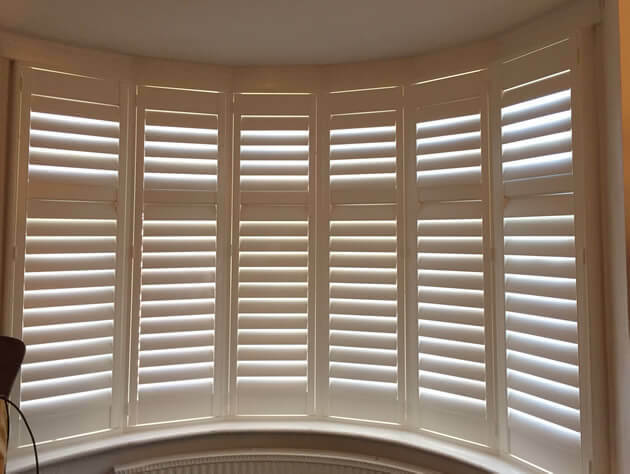 The shutters were to go in many different rooms and it was required that they look match in style and finish no matter what shape of window they were to be fitted to. 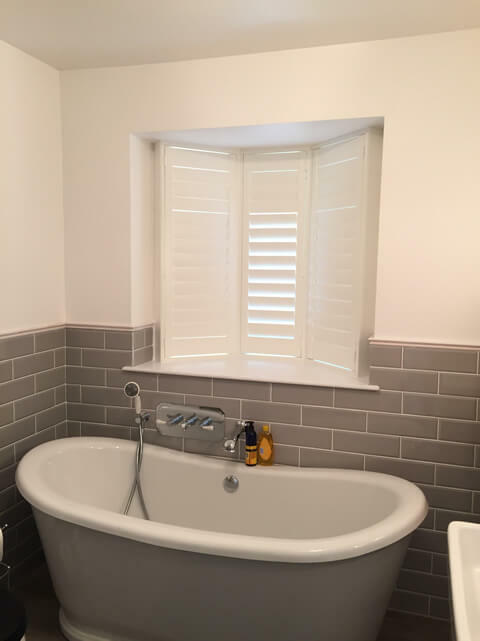 We had to install the shutters over flat windows and also a bay window which required the shutters to be curved around the recess and window ledge. 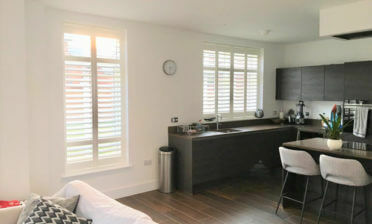 All shutters were fitted with 89mm louvres in a full height style with mid rail, allowing the owners to adjust the bottom section and smaller top section independently. They also feature a hidden tilt rod system which allows for adjustment with the hand, rather than a rod. 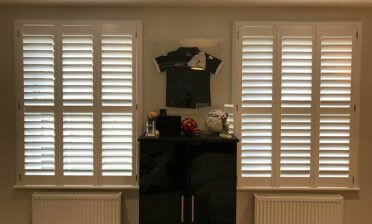 The shutters were fitted within 4 sided insert L frames. 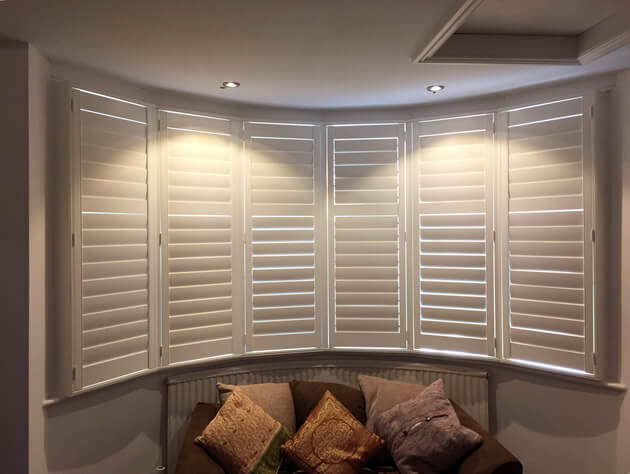 We finished all the shutters throughout the home in Silk White with white hinges which looks great in all areas from the living room to the bathroom!